S 62 CEN/S 622: 1-inch (25 mm) soft dome tweeter/4-inch (102 mm) (dual on S 62 CEN) aluminized woofers. Waveguide: Provides more uniform dispersion in the 2-10 kHz frequency range for enhanced dynamics and clarity with reduced distortion. Centre-plug: Eliminates cone breakup for a more defined sound. Aluminized woofers (S 622, S 62 CEN)/ midrange drivers (S 626):Increases cone rigidity for enhanced mid/lower frequency reproduction. 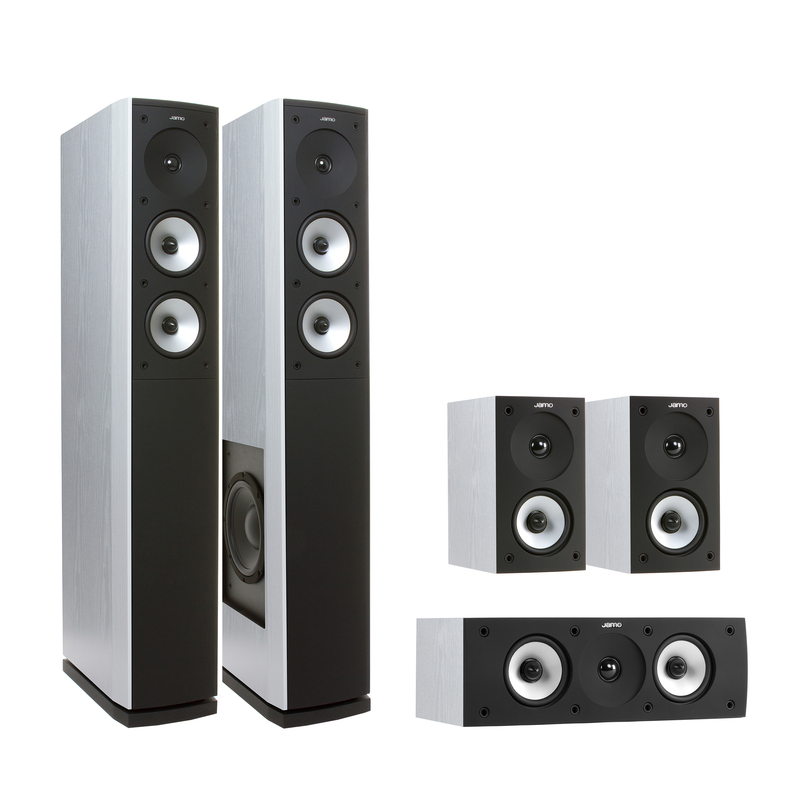 Side-firing woofer(S 626):Provides a slim, cohesive design and bass optimization for varying room acoustics. 5-way binding posts (dual on S 626): Allows for multiple connection options with wire up to 12 gauge (AWG). With more than 810-watts of system power capability, the Jamo S 626 HCS system offers excellent value for the money without compromises in design or sound. Two S 626 3-way floorstanding speakers are complimented by a matching S 62 CEN center channel speaker designed to provide crisp and detailed dialogue from your favorite movies and TV shows. The compact but powerful S 622 speakers provide the enveloping surround sound that puts you in the middle of everything! 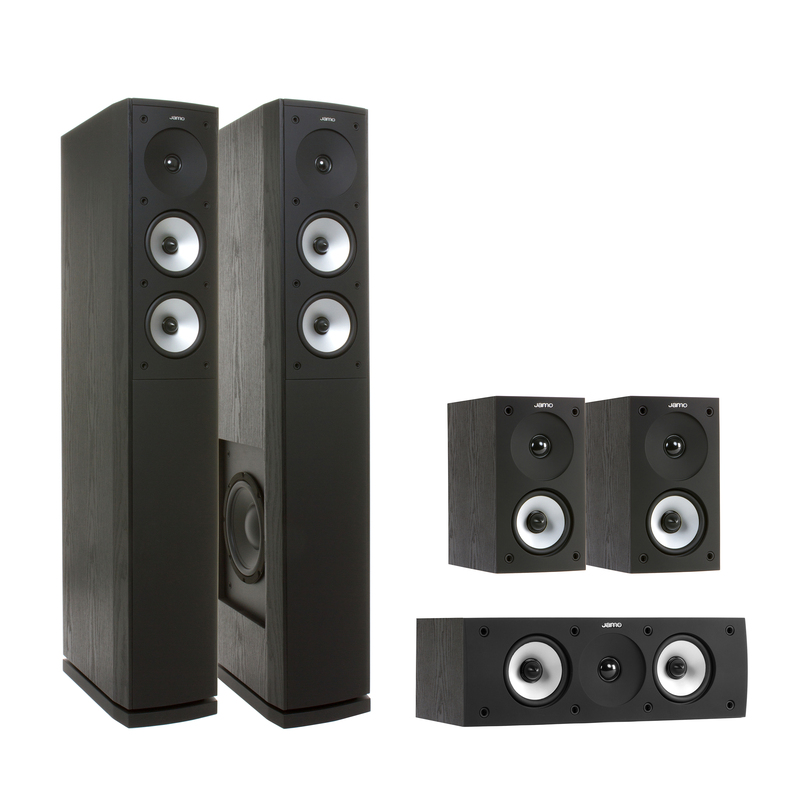 Add an optional Jamo SUB 260 subwoofer for the deepest movie bass effects you can feel. 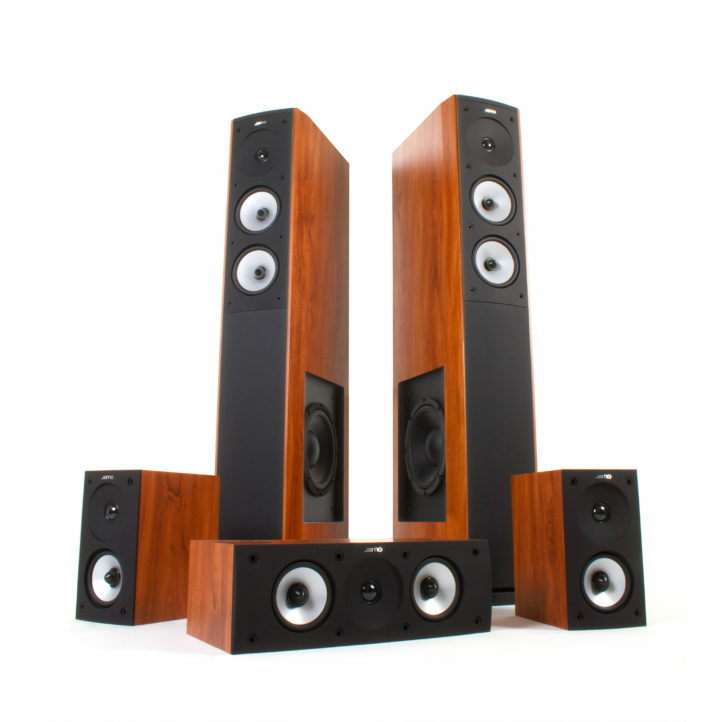 Your favorite music will sound great too in either stereo or surrounding you with 5 speakers. 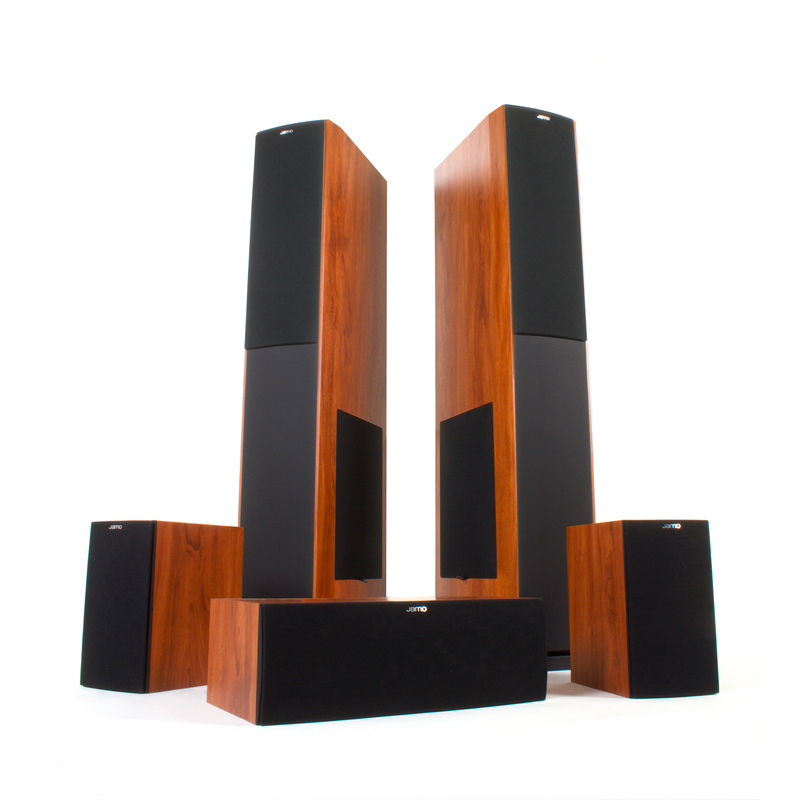 Available in black ash, dark apple and white ash finishes, all speakers are neatly complemented by soft-feel black baffles giving the system a premium and contemporary appearance. The S 626 include optional speaker spikes while the S 622 and the S 62 CEN have built-in keyhole mounts for on-wall applications.